As the legalization of cannabis becomes the norm in more jurisdictions around the world, innovation within cannabis breeding and cultivation has also surged. Now, there are strains that cater to medicinal users, as well as varieties that have been developed to impress seasoned recreational connoisseurs. Although each cannabis consumer is different, many individuals will look to THC content in order to gauge the right strain for them. Whether you’re into a moderate smoke, or are more of a high-flying cosmos-surfer, there is an option for you. Check out Zambeza’s list of top 10 THC-rich strains from least to most potent. At 13% THC, Vanilla Ice may not seem that strong on paper. But this indica favourite has gained recognition for its after-effects that leave your body in a state of utter calm and relaxation, while treating your taste buds to hints of sweet vanilla. For growers, this strain yields up to 350g/m² when cultivated indoors, and up to 175g/plant outdoors. Similar to Vanilla Ice, Big Bud XXL also contains THC levels around 13%, and bears quite a kick once smoked or ingested. Shortly after toking, the bud will leave your mind relaxed, and could further enhance any drowsiness. It is the perfect strain for those with insomnia or people looking for a pre-bedtime smoke. This indica-dominant strain also offers a high yield when cultivated. Indoor plants can yield up to 450g/m², while outdoors, 175g/plant is possible. Another mellow strain that initiates quite a buzz is the indica-dominant hybrid White Cheese. Boasting THC levels of 17%, it leaves the body in a state of euphoria and relaxation. On the flipside, it also bears medicinal benefits, offering symptomatic relief for inflammation and chronic pain. As for growing, this strain flowers over a short 50 days. When grown outdoors, it can yield up to 600g/plant. Indoors, yields reach up to 550g/m². When you breed a Blueberry with a White Widow, you will get a notable sativa-dominant hybrid known as Blue Spider. At 18% THC, this bud will induce distinctly euphoric effects, making it suitable for daytime use and creative projects. And whether you are a veteran or novice grower, Blue Spider will be an easy favourite, given its flowering time of only 55 days. When harvested indoors, it yields up to 450g/m². Outdoors, it can churn out 500g/plant. This hybrid strain from the union of Lemon Thai, Chemdawg, and Pakistani Kush is a favourite among many for its lemony flavours and potent high. At 18% THC, Lemon Kush puts its users in a state of relaxation, while still allowing them to focus on any tasks at hand. Apart from THC, another similarity between Lemon Kush and the previous Blue Spider is that it has a flowering time of 55 days. 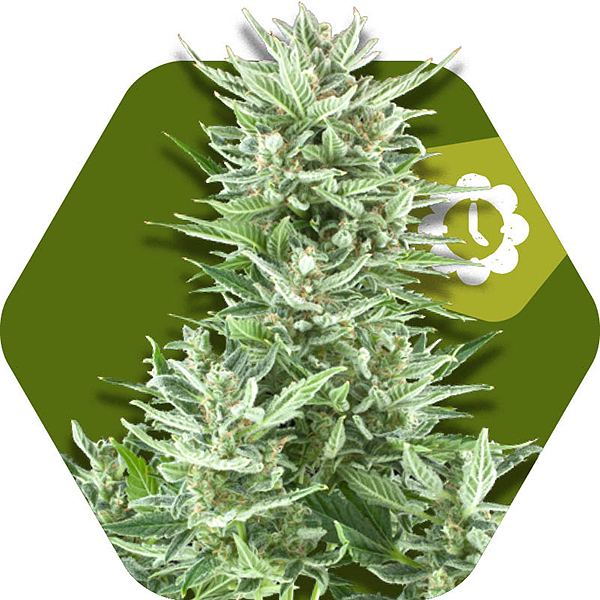 If you choose to grow indoors, Lemon Kush can yield up to 500g/m². Outdoor cultivation, meanwhile, can yield up to 550g/plant. This strain is described as a “profit-yielding indica champion”. Northern Lights XL is believed to be a product of genetics from 11 different seeds, according to legend. But with 19% THC, one thing’s for sure; it can instantly bring about a happy and relaxed, yet highly buzzed state. 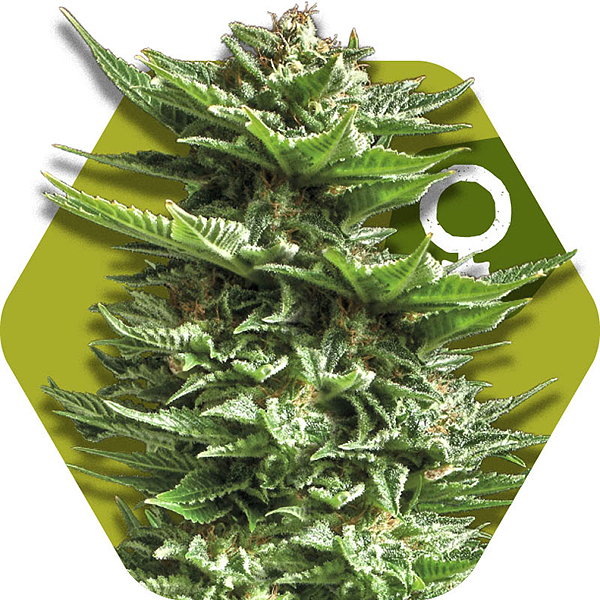 Like many on this list, Northern Lights XL also has a short flowering time of a mere 60 days. For indoor cultivators, you can garner an impressive yield up to 750g/m². Outdoor growers, on the other hand, can achieve up to 650g/plant. The sativa-dominant offspring of Blueberry and Super Silver Haze is known for its kick that leaves users in an uplifted state. With THC levels of 20%, it is the go-to strain for musicians or artists looking for that boost of creativity. After 65 days of bloom, Blue Brilliant can yield up to 600g/m² when grown indoors, and the same amount per plant when cultivated outdoors. This potent strain is a fixture in many Dutch coffeeshops. With its 21% THC content, it is popular among sativa-loving individuals looking for a strain that will bode well for active daytime use. It is also a favourite with those who are looking to enhance sensations of creativity and inspiration. Following 65 days of flowering time, growers can expect an indoor yield of 700g/m². Outdoors, Super Silver Haze can yield up to 650g/plant. Breaking the top two of this list is the sativa-dominant Amnesia Haze XL. With 21% THC, it produces an uplifting effect throughout the body, along with euphoric sensations for the mind. Taste-wise, it features hints of citrus and lemon that will linger on your tongue. Similar to Super Silver Haze, Amnesia Haze XL takes 65 days to flower. When grown indoors, it will yield up to 600g/m². When grown outdoors, it can yield up to 700g/plant. Topping this list is a strain deemed to be “marijuana royalty”, given that it is the offspring of the famous Girl Scout Cookies and OG Kush. With 24% THC, Crazy Cookies definitely has something to offer when it comes to potency. Its earthy flavour, along with hints of grape makes this strain a popular choice among true cannabis enthusiasts. When grown indoors, Crazy Cookies can yield up to 650g/m². Outdoor cultivation, meanwhile, leads to a haul of 500g/plant. This is our list of Zambeza’s top ten THC strains, ranging from our least potent to our strongest cultivar. Now, feel free to experience each one for yourself!